Telford MP Lucy Allan used a parliamentary debate today to criticise what she says is the lack of progress in the town's forthcoming Child Sexual Exploitation inquiry. Speaking in the debate she had secured in the Westminster Hall, Ms Allan called for more urgency in starting the inquiry, which was set up by Telford & Wrekin Council last year, but has not yet started. Earlier this week the council announced that a meeting next Thursday would approve reports which would allow the inquiry commissioning body, Eversheds Sutherland, to start the process of recruiting a chair. The comments continue the rift between Ms Allan and the council, with its cabinet lead on the inquiry into child sexual exploitation, Lee Carter accusing her of making claims that were neither "fair nor just". The inquiry was sparked by reports in the national media that claimed there had been as many as 1,000 victims of CSE in Telford over the previous 40 years. The council had initially resisted holding an inquiry, but voted to take the step after the government rejected a request to hold its own investigation. Speaking in Parliament Ms Allan said there had been a "shocking lack of urgency" in the inquiry process. She said: "I have kept a close eye on it to make sure matters were progressing but when I looked what did I find? "I found a shocking lack of urgency, I found a PR executive had been appointed to position the council more favourably, and then that a top firm of solicitors had been appointed, experts in dispute resolution. "But as for the inquiry, well there is not even a job spec for a chair, no advert has been placed, no terms of reference drafted." "These experts in dispute resolution have said they are, and I quote, designing a recruitment process and are looking to share their thoughts on this at future meetings with the council. "They say, and I quote, they are mindful to build in sufficient time for each of these steps in the recruitment process and then add in additional steps at a later stage, then once the recruitment process has been completed they can begin designing terms of reference. Ms Allan said that she is concerned the public will lose faith in the process. She said: "We are one year on from when the council finally agreed they would commission an inquiry. One year. And this was a battle that was fought since 2016. "And where is it we have had progress? The partner in this top firm of solicitors has now been able to share a logo for the inquiry and is concerning themselves with typeface and colour. "Now I mean no disrespect to the solicitors involved but we have to ask who is taking responsibility for this extraordinary situation? "This inquiry was meant to be for survivors. It was meant to be for our community, meant to provide assurances to our young people, and yes it was about accountability if those in authority. "Instead we see a slow motion gravy train for solicitors, expensive people fussing with logos and letterheads, sending a message that getting to the bottom of what happened in Telford is just not a matter of urgency." In response Rishi Sunak MP, minister for local government, said: "Ultimately it was the council's decision, it is their inquiry and I welcome their openness to additional scrutiny through this process. It is in the interests of all concerned in Telford that the inquiry is set up in a transparent manner that meets the needs of survivors. "The council has rightly commissioned an independent body to oversee this process and appointing the right chair will be key to this process. "And I agree with my honourable friend that this is something in my mind that should now be prioritised." He added: "The final thing to say is the council has committed to this independent inquiry and so now they need to properly and expeditiously deliver on it and provide answers and justice for the survivors." Responding this afternoon to Ms Allan's comments, Councillor Carter said: “What you have seen today is the difference between a politician who is well informed about what is going on – the Local Government Minister Rishi Sunak – and one who isn’t, our local MP Lucy Allan. “I am angry because in my opinion she has stood up in the Commons and made a lot of comments that were neither fair nor just . But I am also glad that the minister has understood the process that we have been through to get this inquiry under way. “We made a solemn promise to the leading campaigners and victims and survivors that we would hold an inquiry in this town and we promised that they would be at the heart of that – we said we would do it differently in Telford and that we would do it right and we are doing that. “Part of doing it right is that the whole inquiry is independent of the council and should be from free from political interference. Already one survivor has felt the need to speak out about the politicisation of the inquiry process in certain quarters. 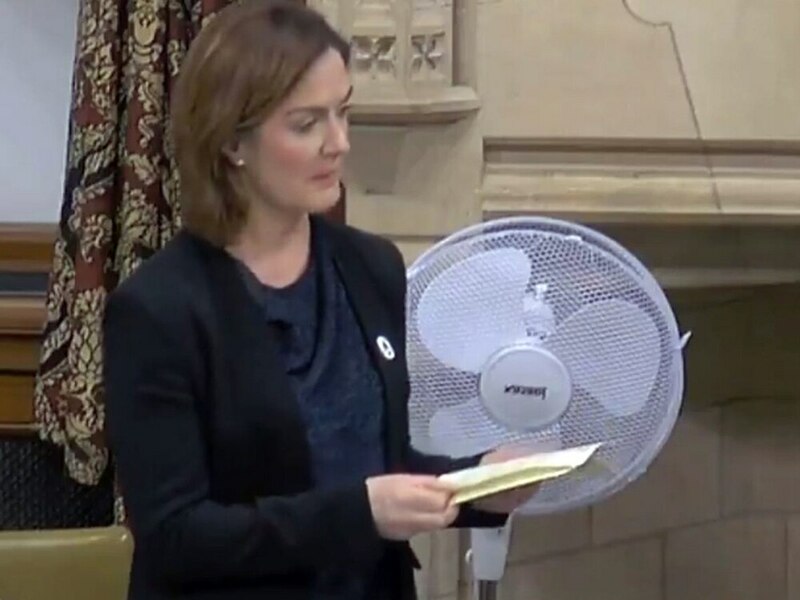 “Lucy Allan seemed to occupy herself with cost today. What we are interested in is getting the answers that victims and survivors want and deserve. We have been open and honest and transparent about all aspects of the inquiry including the cost. We put aside £350,000 last year to pay for it and that has not changed. “The minister pointed out that we have rightly put the inquiry in the hands of a commissioning body, who are now on the cusp of recruiting an independent chair to oversee the inquiry.